Anne Smith and Blair Smith scored 0.39 masterpoints with a ★67%★ game at In Tempo Bridge Club. See full results of this game. 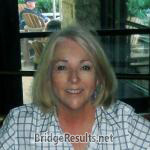 Terri Abady and Glenda Vander Meer scored 0.79 masterpoints with a 52.47% game at In Tempo Bridge Club. See full results of this game. 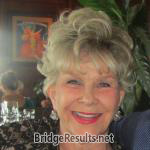 Marti Certilman and Sandy Salomon scored 0.25 masterpoints with a 47.39% game at Bridge On Shea. See full results of this game. David Pietrewicz and Sandy Salomon scored 0.70 masterpoints with a 53.97% game at Bridge On Shea. See full results of this game. Matthew Mandel and Shannon Healy scored 0.25 masterpoints with a 50.36% game at In Tempo Bridge Club. See full results of this game. David Pietrewicz and Sandy Salomon scored 0.80 masterpoints with a 54.59% game at Bridge On Shea. See full results of this game. Francine Dobkin and Barb Davis scored 0.62 masterpoints with a 53.1% game at Bridge On Shea. See full results of this game.